Arsenal booked their place in the knockout stages of the Europa League with a goalless draw at the Emirates on a night which will be marred by a horrible injury for Danny Welbeck. That's all from me on a night where Arsenal were frustrated by Sporting and were unfortunate to lose Welbeck to what looked like a horrible injury. I've been Andy Preston, thank you for following my live coverage from the Emirates for VAVEL. Be sure to stay tuned for all the latest football coverage. The other game in Group E has just finished with Qarabag beating Vorskla 1-0 which means that the Gunners have booked their place in the knockout rounds of the Europa League. It's a first goalless draw of the Unai Emery era. A spirited second half defensive display from Sporting who held in to earn an away point. A night to forget for Arsenal with a horrible injury to Welbeck in the first half. Lichsteiner already suffered an injury with a suspected pulled muscle. 95' Late corner for Arsenal, last chance for them to grab a winner. It comes to nothing. Five minutes of added time for either side to try and break the deadlock. 89' Aubameyang tries to beat the keeper at his near post but blazes it well over the bar. Looks like were headed for a goalless draw at the Emirates. 87' RED CARD! Aubameyang beats Matheiu to the ball and the defender cynically fouls the striker on the edge of the box. 84' Final change of the game- Luis replaced by Petrovic for Sporting. 84; Guendouzi slides a delightful ball through for Iwobi but the Nigerian hits his cross well over the bar. Frustration for Arsenal in the final third. 83' Cabral replaces Diaby for Sporting. 81' Iwobi drives a cross in to the box and Mkhitaryan gets a toe to it but the keeper makes a comfortable save. Sporting holding on. 78' Could have been a chance for Sporting to throw a ball in to the box for Dost but they take a short corner and are then beaten by an offside trap. Still 0-0 with just over ten minutes left. 73' Ainsley Maitland-Niles replaces the injured Lichsteiner. Eddie Nketiah was ready to come on until the injury to the right-back. Guendouzi is given a yellow card. 71' Lichsteiner bursts forward but stops in his tracks quickly, looks as if he's pulled a muscle. 67' Yellow card for Acuna. Arsenal struggling to breakdown Sporting who have been resilient in the second half. Bas Dost is on to replace Montero for the visitors. 60' Sead Kolasinac is on to replace Jenkinson at left-back. A decent shift from Jenko considering his lack of game time in the last few seasons. 58' Arsenal break quickly, Iwobi spins and lays the ball off for Aubameyang whose shot fires in to the side netting. 58' A positive run down the wing from Nani and it brings about a half chance for Sporting but Cech meets his cross before Diaby can get near it. 52' Quick move forward from Arsenal once again, Mkhitaryan starts the move and Ramsey sprays a lovely ball out wide to Smith-Rowe but his cross can't find an Arsenal man in the middle. 47' Diaby hits a volley goalwards but Jenkinson does well to get himself in the way to prevent a shot on target. 47' Clearly not put off by his first-half effort, Jenkinson goes for glory again, this time on the volley but he mishits it completely but the ball spins behind him and recycles possession for Arsenal. Got to admire his eagerness to score, though. 46' CLOSE! Lichsteiner nods the ball down for Mhkitaryan on the wing who crosses for Aubameyang but his volley flies inches over the bar. 45' Arsenal get us underway for the second half. Emery will want his side to be more clinical in the second half and create more clear cut chances but he won't have any complaints in the effort department, the Gunners have fought hard to win back the ball every time they've given up possession. Sporting will have to improve upon that first-half display if they're to avoid a second defeat by Arsenal in the space of two weeks. The home side have dominated possession (75%) but have yet to penetrate the Sporting defence. The Portuguese side haven't threatened Arsenal's goal once in the first 45 minutes. A first half that has been marred by the horrible injury suffered by Danny Welbeck. Very unfortunate for the England striker who has been in good form this season. Looked in a lot of pain and was taken off by the stretcher, appears that it may be an ankle injury. 45' Another good chance with a free-kick but Mkhitaryan hits it straight out for a goal kick. Complete dominance but no cutting edge yet from the Gunners. 41' Yellow card for Gaspar after he tripped Iwobi. 40' Half-hearted appeal for a penalty from Sporting. Holding controlled the ball with his chest while the Sporting players optimistically shout for the use of an arm. Nothing given. 39' Arsenal work a short corner and Lichsteiner has a rather optimistic effort which ends up high in the stands of the Clock End. 36' Some really slick football from Arsenal on the left wing. Smith-Rowe, Ramsey, Jenkinson and Iwobi all involved. The Gunners win another corner but it comes to nothing. 0-0. 30' Good move from Arsenal, Iwobi finds the overlapping Jenkinson but the make shift left back overhits his cross. Welbeck goes off on the stretcher to huge applause from the Emirates crowd. Hopefully he will back soon, but it doesn't look good, a great deal of concern from the medical staff and his teammates. 26' Stretcher has come on for Welbeck who won't be able to continue. Sad sight, looks like he's in a lot of pain. Pierre-Emerick Aubameyang will come on to replace the injured Welbeck. 25' Lichsteiner swings in a cross in to a dangerous area, Welbeck beats the defender to the ball but its a comfortable save for Ribeiro. Welbeck has stayed down injured, doesn't look good at all for the striker. 21' Yellow card for Lichsteiner. Slides in on Nani who goes down rather theatrically, however a foul none the less and the Swiss captain is cautioned. 20' A series of appeals from Arsenal for free kicks, two turned down prior to Lichsteiner eventually being given one. Mkhitaryan whips in a cross but Welbeck glances a header over the bar. Still 0-0, Arsenal dominating early proceedings. 16' Arsenal with all the possession. Iwobi looking lively on the wing and finds Smith-Rowe on the edge of the box, the youngster opts to shoot but sends the ball high and wide. Positive start from the home side. 12' Another corner for Arsenal, Mkhitaryan tries to find Welbeck in the box but a deflection sends his cross over the bar. 8' A wild effort from Jenkinson is sent in to orbit. Hasn't played much football over the last couple of years and it certainly showed in that shot. 7' Iwobi sets Welbeck free on the left wing, his cross is blocked and brings about a first corner of the game. 7' Decent move from Arsenal and it's a move born out from the back with Petr Cech making a positive pass forward to set Arsenal on their way. 3' Guendouzi gives it away cheaply on the edge of the Arsenal box, Nani takes a shot but its blocked and is cleared away from danger. 3' Nani on the floor for which I can almost certainly say won't be the only time tonight. Arsenal with the early spell of possession. 1' Sporting get us underway in north London. Carl Jenkinson makes a second consecutive start in cup competitions having not played for Arsenal for over 600 days before that. A few familiar faces in the Sporting line-up- former Barcelona defender Mathieu, former United winger Nani and former Liverpool defender Coates all start. Here's how the visitors line-up: Ribeiro, Acuna, Mathieu, Coates, Gaspar, Fernandes, Gudelj, Mariz Luis, Nani, Diaby, Montero. Cech, Jenkinson, Holding, Sokratis, Lichsteiner, Guendouzi, Ramsey, Smith-Rowe, Mkhitaryan, Iwobi, Welbeck. Welcome to Vavel's live coverage of Arsenal vs Sporting at the Emirates Stadium. Stay tuned at VAVEL UK for the latest updates as the team news comes in around an hour prior to kick off. Sporting have a host of doubts ahead of the match with Rodrigo Battaglia and Abdoulaye Diaby both suffering injuries at the weekend. Raphinha, Stephan Sturaro and Stefan Ristovski are also set to miss the match with the Gunners. Bas Dost, however, will return to European action after missing the reverse fixture in Lisbon. "It's a very important match because if we win we're first in the group- that's our clear target," said Emery in his pre match conference. "This competition is very important for us. It's one way to win a title and get into the Champions League next year. "We want to continue to improve and to continue with the players taking responsibility and confidence. I want to continue at the Emirates with our supporters with the same spirit as in the matches against Blackpool, Leicester and Liverpool." Matteo Guendouzi returns from suspension following his red card in last week's Carabao Cup match against Blackpool and is back in contention to start. Left back options still remain sparse for Unai Emery with Nacho Monreal still a doubt for tomorrow's clash while he may be reluctant to use Sead Kolasinac as the Bosnian only played his first full 90 minutes of the season against Liverpool on Saturday. 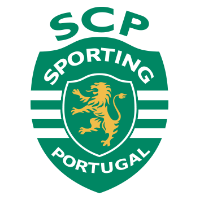 Sporting come in to the match having had a mixed bag of form, with three wins and three losses in their six previous matches. 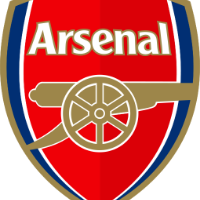 Arsenal are on an impressive run of fourteen games without defeat with the games coming thick and fast with Wolverhampton Wanderers visiting the Emirates on Sunday as Arsenal face a fourth successive home fixture. They'll be hoping to keep their unbeaten run going before the international break. A win for the north London side would guarantee them a place in the round of 32 meanwhile a point would still see them through should Vorskla lose to Qarabag in the other game in group E.
The Gunners currently sit top of Group E having won all three of their group games, including the reverse fixture of tomorrow's match where Danny Welbeck's goal was enough to earn all three points. Sporting won both of their games prior to facing Arsenal in Lisbon which leaves them in second place in the group. Hello and welcome to VAVEL UK’s live coverage of the Europa League as Arsenal take on Sporting Lisbon at the Emirates Stadium. I'm Andy Preston and I'll be doing my best to keep you updated with all the latest action from north London in Group E as the Gunners bid to book their place in the round of 32 knockout stages. 8pm BST kick off.